Hey Foodies! 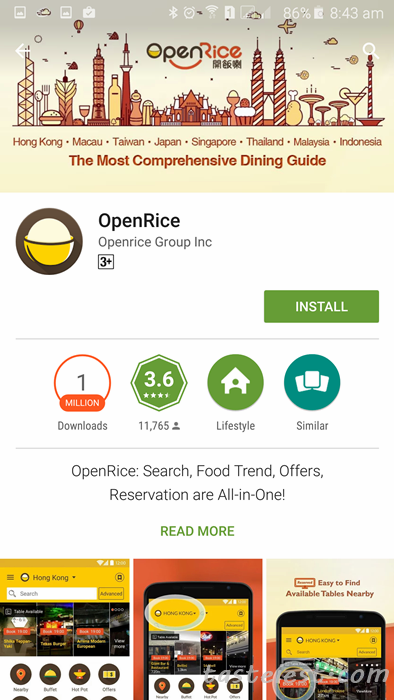 You must have heard of OpenRice before and if not then you have to take immediate action to have this app install at your mobile phone. 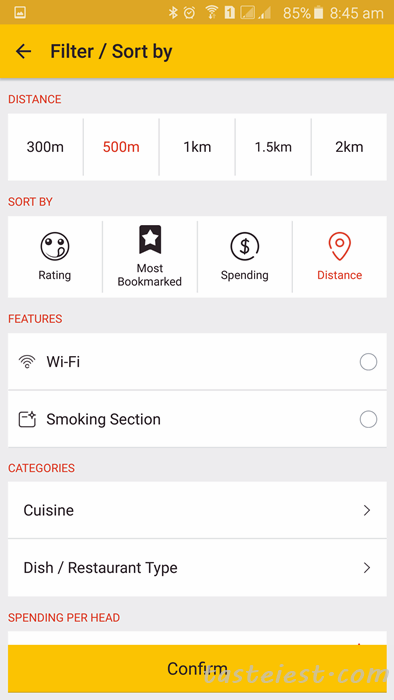 This awesome application has huge community that share whole lot of hidden gem for FOOD! We has been using this application for years and recently they introduce more feature that make us feel like writing an article just to share how great it is. Another main reason is people keep asking us where to eat! Sometime we are so busy and not able to reply each and everyone, we are so sorry. We hope this app can help those who looking for answer a quick tips on where to go. 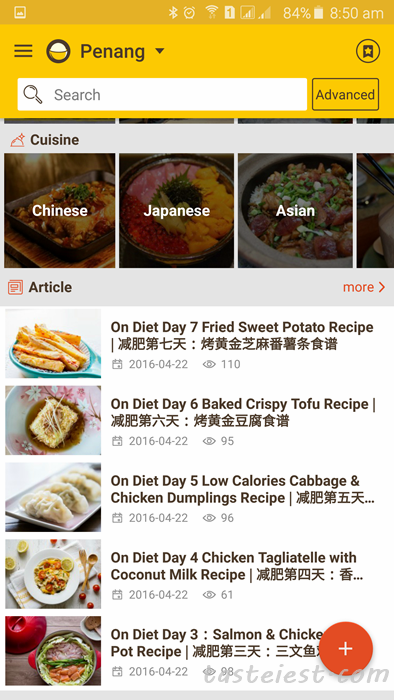 Let get started by installing the App, you can search for OpenRice in Android Market or IOS AppStore. Look for a yellow bowl of rice icon and that is the app you should be installing. 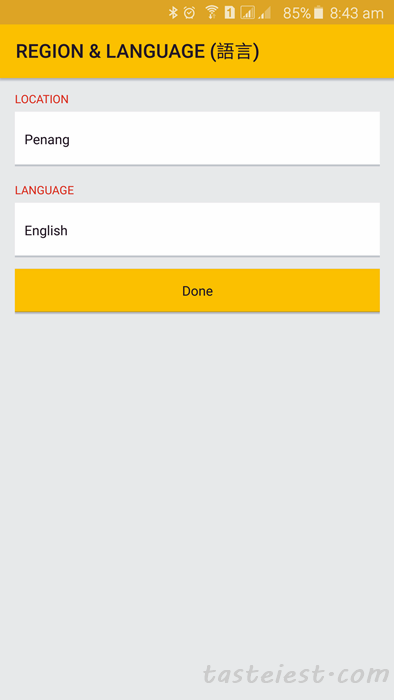 On first startup, it will prompt for Region and Language Selection. 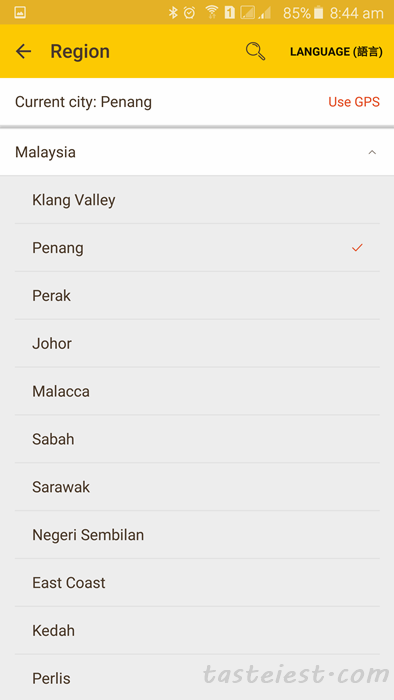 As of now the app cover Hong Kong, Macau, Taiwan, Japan, Thailand, Singapore, Malaysia and Indonesia, further breakdown to state and city for more specific search. Which mean i can even use this app when i travel to those country, sweet! While for language selection English, Chinese, Tamil, Malay and Japanese are available. My mum are using Chinese and she is now travelling around to look for good food. 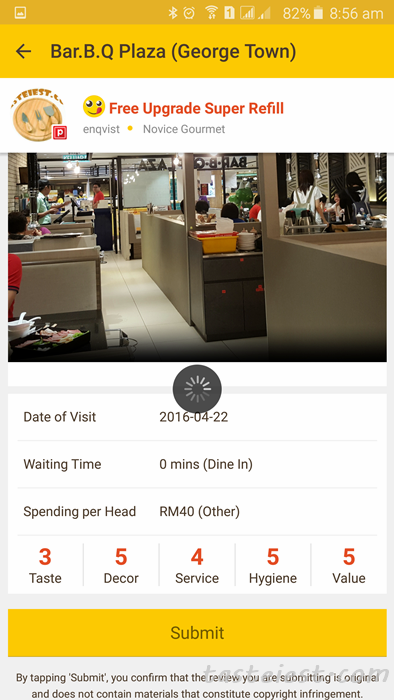 Here is the main screen of the OpenRice App. You can easily switch to different location and language from the main screen by touching on the top screen. 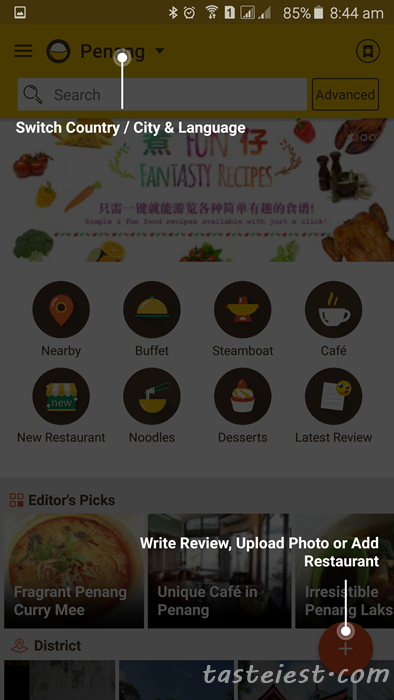 On the bottom of the screen there is a + button that allow you to add review, add new restaurant or upload photo. Just a few touch and you are one of the contributor to the big foodies community. 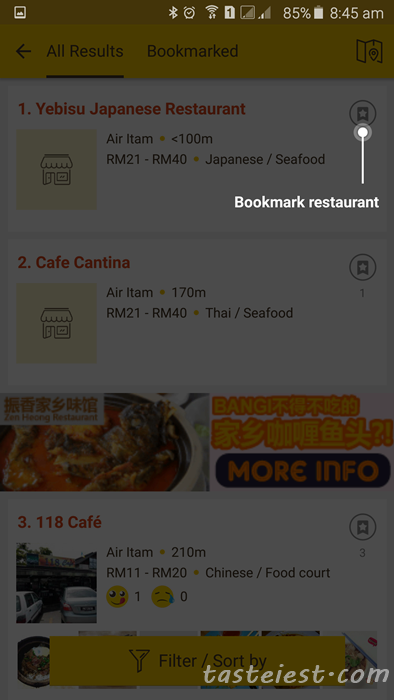 By searching for restaurant with certain keyword, you can bookmark individual restaurant into your personal bookmark list for future reference. I hate this feature, it is so convenient that make my To-Eat list so long. How can i finish all those restaurant? Anyhow, to make your search more specific you can use the Filter/Sort By option that help to narrow down your search, i use distance the most as it give me the idea where should i go next. User rating also very important. Back to main screen, there is some feature item such as Editor Pick which always show some great location that i never heard before. 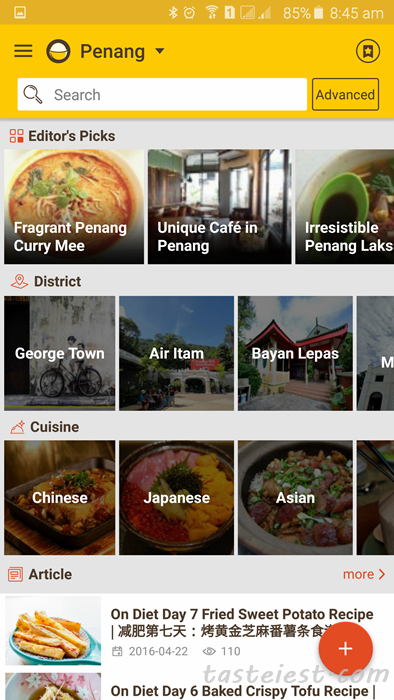 District help to group the location together into more specific location, Cuisine breakdown type of food for easy search. Other than that there is some great article available as well, I found some good recipe and prepare for my family over the weekend. 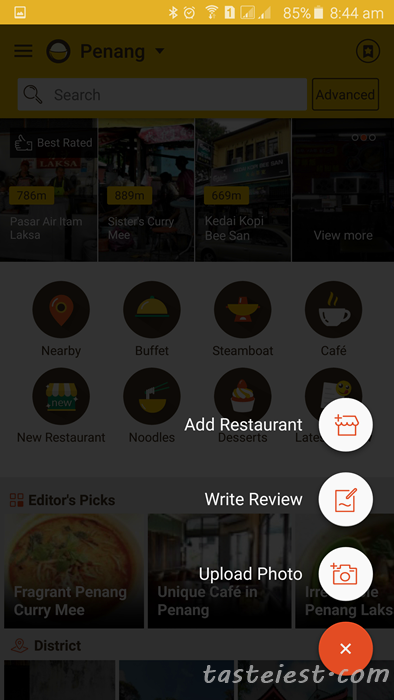 We encourage you to write review like what we did instead of searching for food. By combining everyone contribution we will have even bigger community and we can eat MORE! 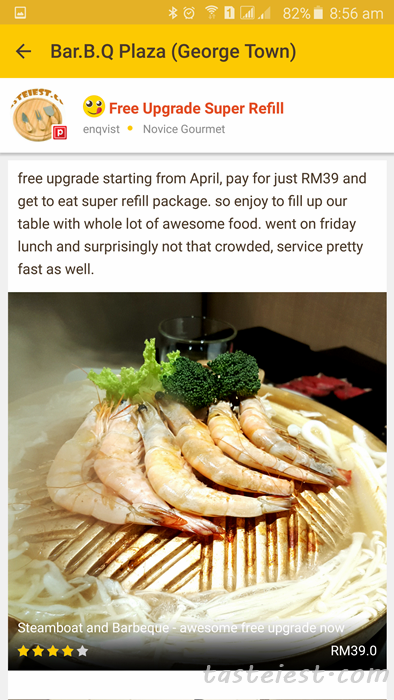 Example of our recent sharing on BarBQ Plaza Gurney. The sharing is so simple, click on the + sign and you just need to key in a few item to get it published. 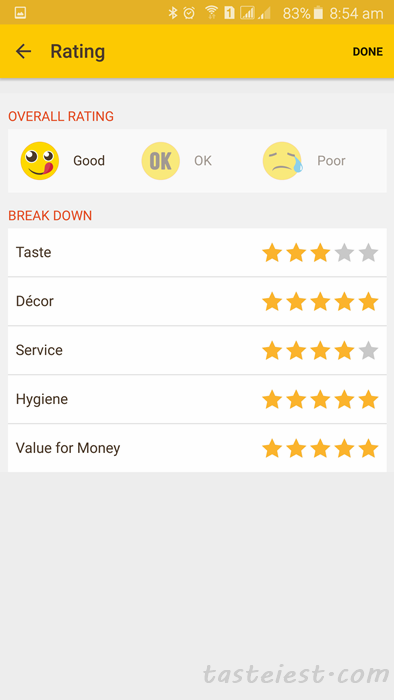 You can give an overall rating follow by specific rating for each area such as Taste, Decor, Service, Hygiene and Value for Money. Writing a review can be so simple that you give a title of the review that can be anything, brief description, upload photo and answer a few simple question. That All! you have contributed to the food community. Invite Friends! 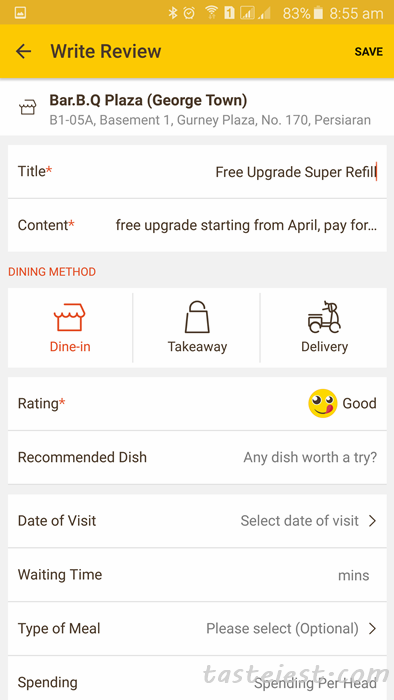 Yes, search for a restaurant and click on it, look for the bottom right “Invite” then key in a date and time follow by event name then share it with you friends on any messaging application. 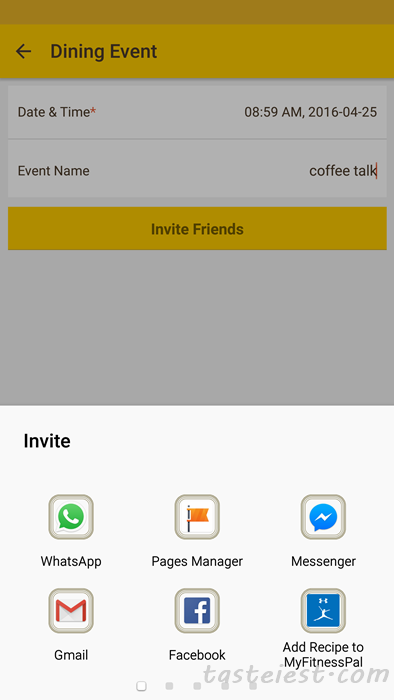 Your friends will received a notification and a reminder will be automatically added. Never know that invite a friends can be so easy now.